Mary:- For the past seven years I have been running my online quilt business www.kiwiquilts.co.nz I specialised in New Zealand fabrics and quilt designs plus other fabrics that took my fancy. It was wonderful to wallow in fabrics and patterns and all those wonderful gadgets quilters require. I posted out over 11,500 orders during that time and sent monthly newsletters to a huge database of quilters all over the world. In October 2013 I sold the business to Ngaire who had a bricks and mortar quilt shop but no website and now she is happily combining both businesses from her quilt shop The Crafty Needle, in Manukau Auckland. Annie: – I decided to enter the Dorothy Collard Challenge, run by the Auckland Quilt Guild. 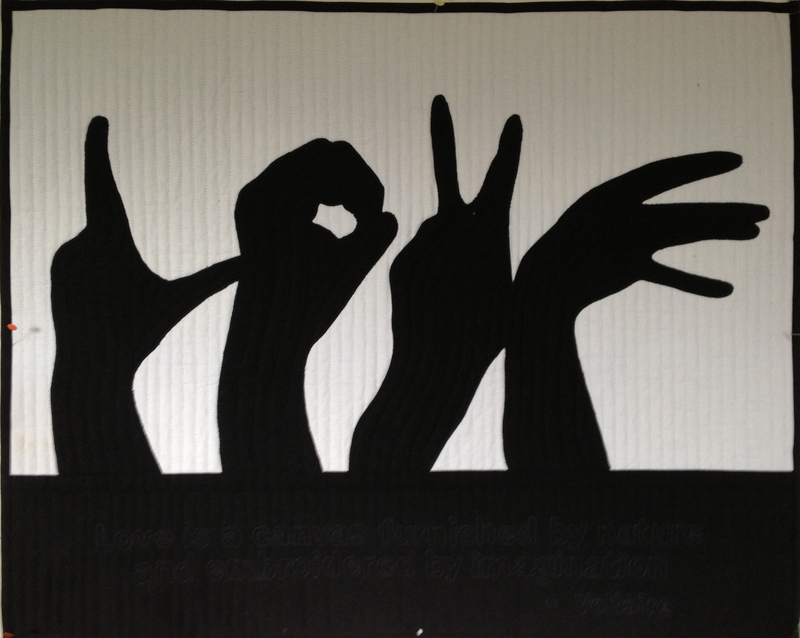 The theme of this challenge was Word Art and I decided to use Alphabet signing to spell out the word Love. I seem to constantly be drawn to working with black and white; whether that is because I am not confident with colour or because I am naturally drawn to strong graphical images, I am not sure. I machine stitched the quotation from Voltaire – “Love is a canvas furnished by nature and embroidered by imagination”. 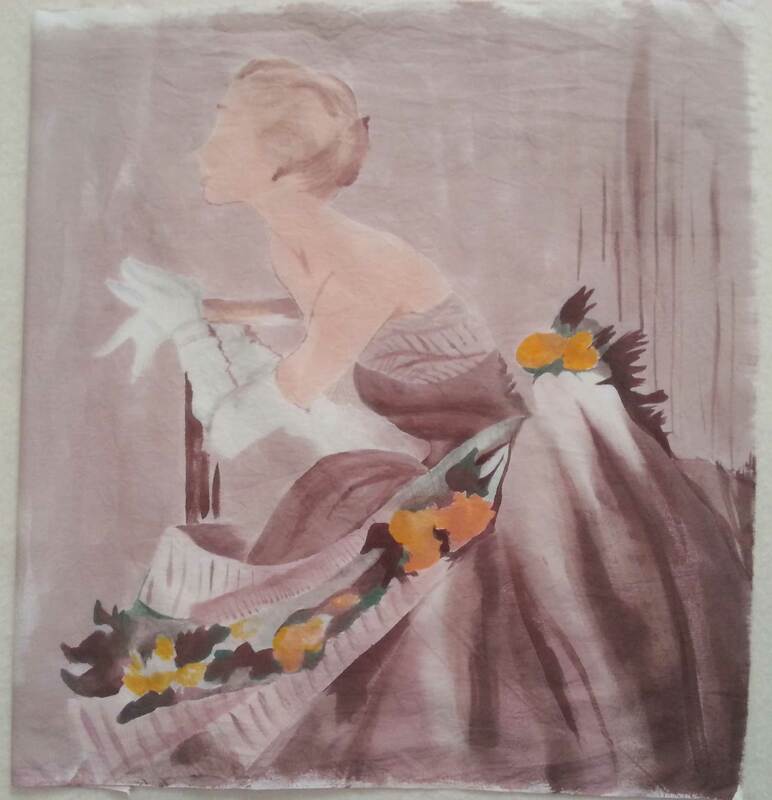 Mary: – I decided to use the lovely 1950’s lady for my challenge and turned her into a Vogue cover. The quilting certainly enhanced the painting plus I added some beading to the roses. 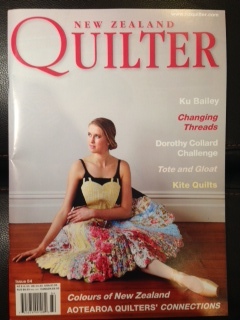 Annie:- New Zealand Quilter magazine and Nutex combined to sponsor the Colours of New Zealand Challenge. At least 50% of the fabric used was required to be Nutex’s New Zealand Fabric. 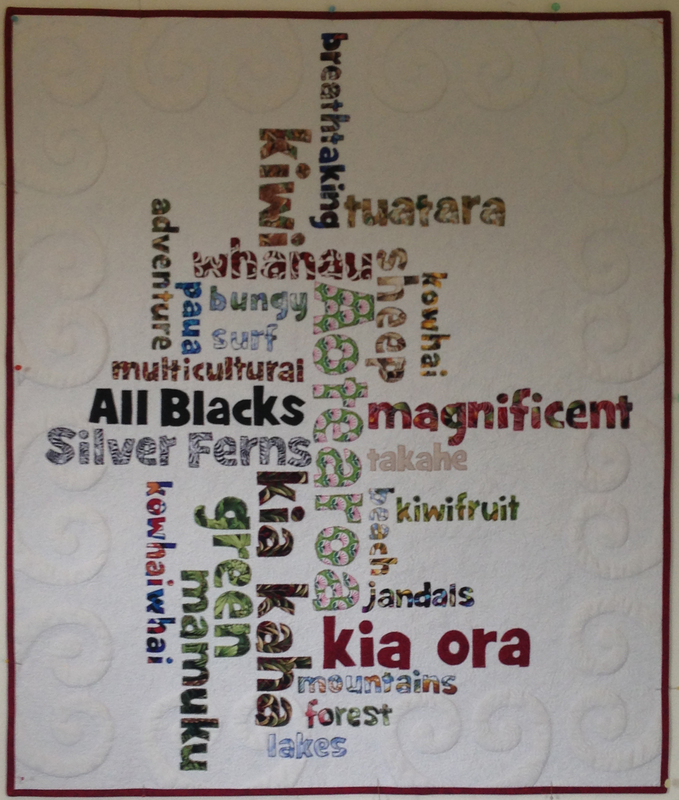 I was delighted to have my entry, ‘Haukainga’ (Home) accepted as one of the twenty quilts to tour throughout New Zealand. This was my first real success and it was pretty exciting to receive a year’s subscription to New Zealand Quilter and $100 worth of goodies as well! I used Mary’s koru templates to form my quilting lines in the negative space and I think it really added a kiwi influence to the whole quilt. I was also pretty chuffed to also have two of my quilts, ‘Haukainga’ and ‘Love’ written up and photographed in The New Zealand Quilter, Issue 84. 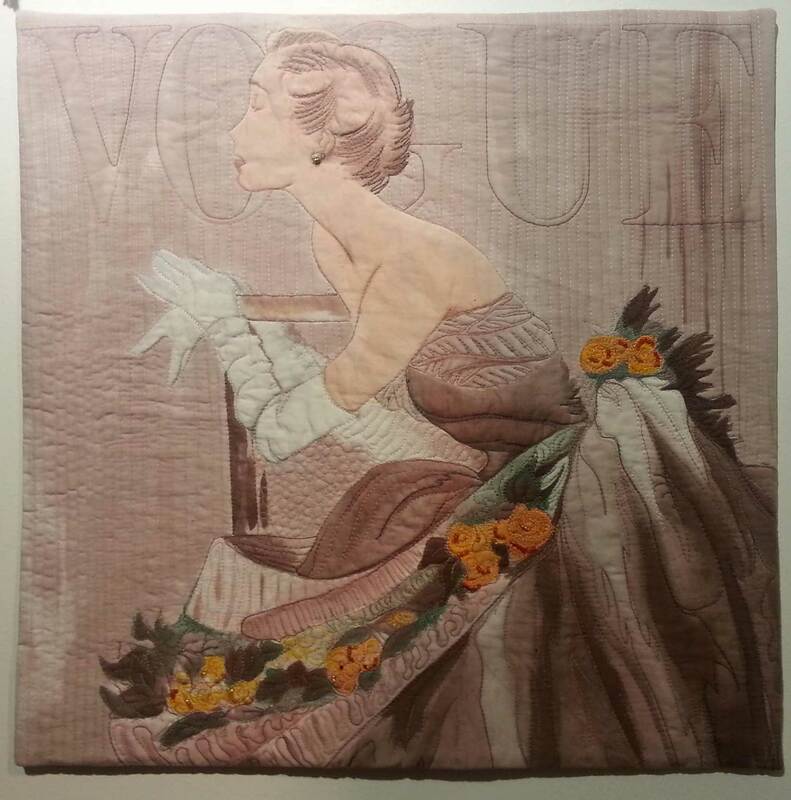 Her quilting is amazing. 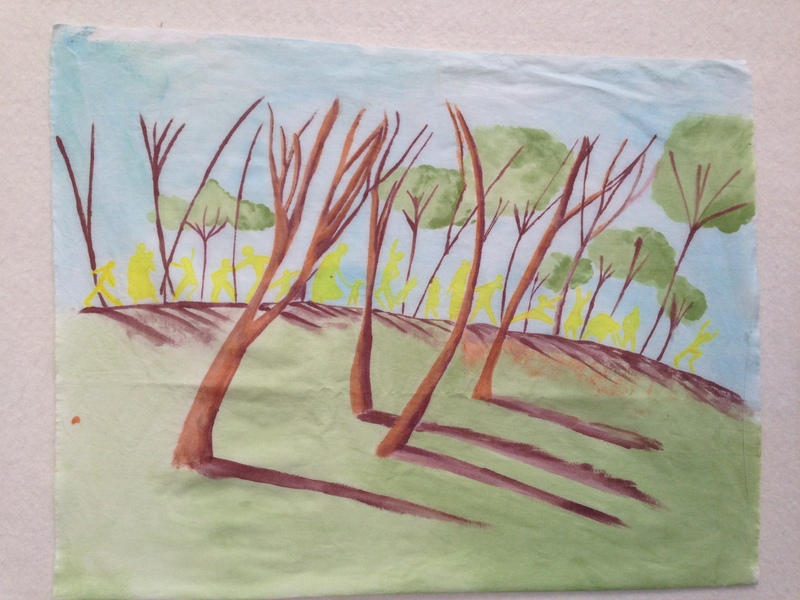 The workshop was painting with dyes and then quilting. It was great to feel the paintbrush in your hands but definitely not as easy as Hollis demonstrated. 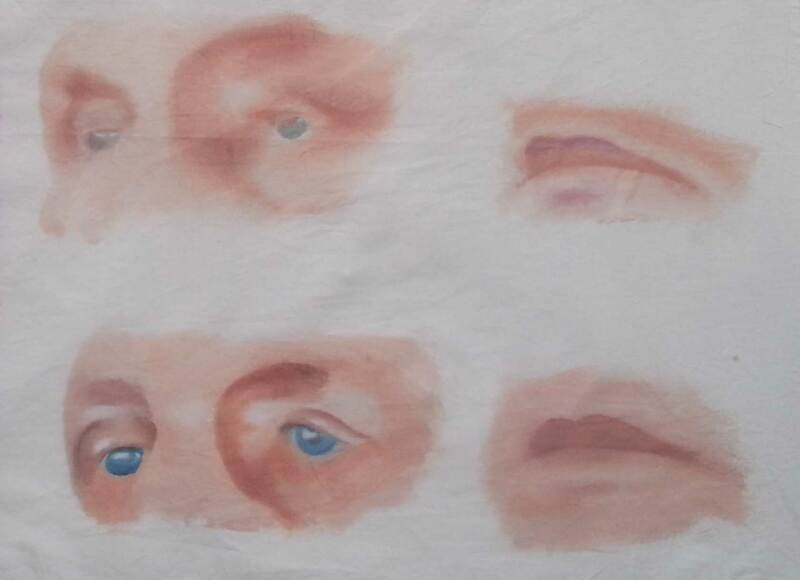 Here are a couple of my first paintings. Here’s the same paintings after they have been washed. Hollis assured us that quilting would change the image. Annie: – This was a first for me in many ways – it was officially my first ever ‘class’ – talk about deep-end learning! – drawing designing, dyeing and stitching in front of people!! I had only recently returned from Australia, after 17 years on the Gold Coast, so I knew nobody. Fortunately I had Mary, an old hand at this quilting business, beside me. I met so many wonderful people at the week long workshop which, of course, enabled me to recognise people at Guild Meetings. 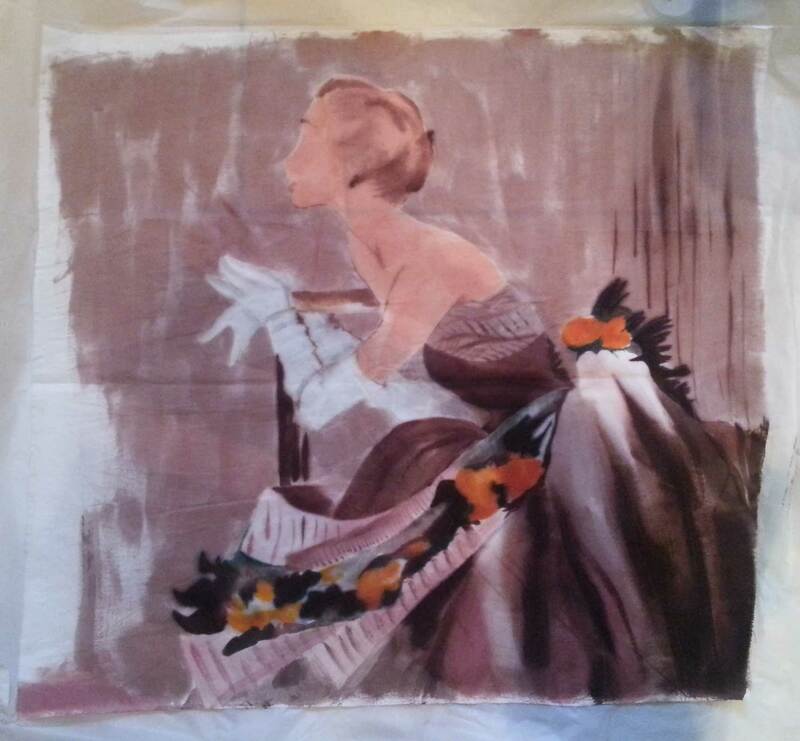 This was one of my pieces ‘Spirit People’ before it was quilted. The image was adapted from an illustration by Dee Huxley from Rosemary Sullivan’s book Tom Tom. ‘Spirit People’ prior to Quilting..
Mary and I had talked about doing about doing a blog for so long that it is almost embarrassing! I mean, where do you start?? It seems a bit strange to just start writing so we thought that the first few postings could provide a background to our work and summarise our 2013 year, bringing you quickly up to date with what is happening in 2014.